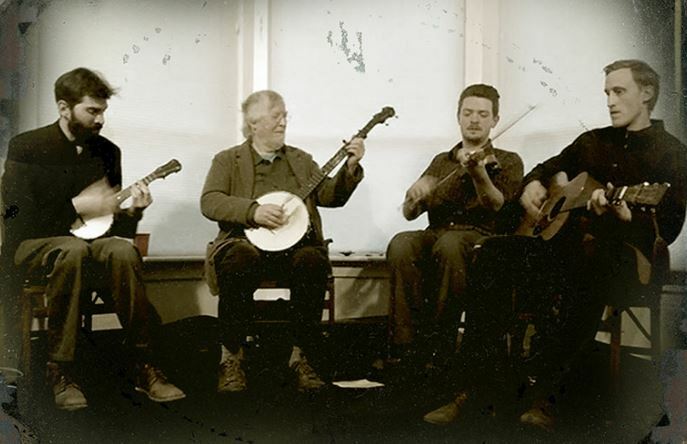 This year features the Down Hill Strugglers with John Cohen. Buy your tickets now before the price goes up! All day tickets include admission to Hancock Shaker Village buildings and galleries. All ticket sales are final, rain or shine. (A variety of Shaker talks and demonstrations; a farm and garden tour, a water turbine demonstration, Shaker music and dance demonstration, a tour of the historic round stone barn and a medicinal herb garden talk). 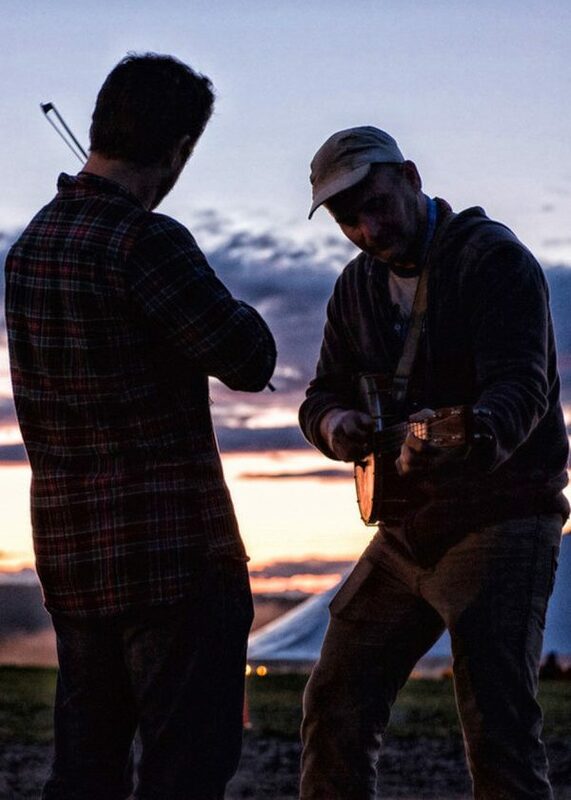 8pm-midnight The Down Hill Strugglers with John Cohen performance, followed by contest results and square dance with the Down Hill Strugglers! Workshops will be led by Eli Smith, Jackson Lynch, Walker Shephard, John Cohen, and Erika Ludwig. Hands-on, all skill-levels included in fiddle, guitar, mandolin, banjo, and storytelling will be featured throughout Hancock Shaker Village. No sign-ups are necessary for the workshops, and reservations are not accepted. Sign-ups are required for all contests, space is limited and walk-ins are not guaranteed a spot. Email completed forms to Maggie to register. Camp onsite at Hancock Shaker Village during the Fiddlers’ Convention. Tent, pop-up campers, and RVs are welcome. This is festival field camping – we have no hook-ups or services other than water and bathrooms. All access + Camping – This all-access 3-day ticket plus camping pass is for one person, for two nights (June 14+15) in our upper lot camping area, designed for tents, pop-ups, and RVs no longer than 20 ft. RV’s larger than 20 ft must note they need a “BUS” spot during registration (space is limited). Sites are first come, first served. Note: All access + Camping tickets are for the Upper Camping grounds only. See below for more details. Premium Camping – Camping for two people for two nights in our premiere camping area, which has views of the historic Shaker village, is closest to traditional restrooms, easy access to charging station and near the campfire. Sites are 20 ft X 20 ft, tents only, and are first come, first served. Note: Tickets to the Fiddlers’ Convention must be purchased separately. Space is limited, these will sell out. See below for more details. Campers are welcome to arrive on the grounds as early at 1 pm on Friday and stay Friday and Saturday nights. The village and the campground will close at 4 pm on Sunday. We look forward to pickin’ with you all weekend at Hancock Shaker Village! Your all-access 3-day ticket grants you admission into the village Friday, but please note camping registration does not open until 1 pm on Friday. Premium camping sites are limited and will sell out. If you did not get a site in the premium campgrounds don’t worry! Both campgrounds are within a few hundred yards of each other. Premium camping will have a fire pit and space for folks to gather and pick without disturbing their neighbors. Upper campground campers are encouraged to come hang out in this gathering space. The fire will be extinguished by midnight. Note: Premium Camping does not include your festival ticket. All Access tickets to the Fiddlers’ Convention must be purchased separately. Please note the upper campground is a ‘quiet camping’ option. Quiet hours are from 11:30 pm until 10 am. However, bring your earplugs, music and laughter do travel. Anyone wishing to camp overnight must have a camping ticket and a festival pass. Camping wristbands will be provided at the campground check-in. Kids 12 years and under are admitted free with a ticketed parent or guardian. There are plenty of camping sites available for tents or pop-ups (pop-ups and RVs for Upper Campground only). Sites are 20ft x 20ft. Generators are not allowed unless needed for medical purposes. The campground coordinator will be located at the registration desk Friday and Saturday to assist with check-in and answer questions. Questions? Contact us at events@hancockshakervillage.org or call 413.443.0188 x273. We are here to help! More detailed information about camping will be sent to registrants closer to the date of the event. No smoking in concert areas, if you wish to smoke, please go to the “Designated Smoking Areas” which can be found on the map. Absolutely no festival staff, artist, volunteer or ticket holder shall approach or touch the farm animals or any livestock paddocks after 4pm. All paddocks containing animals are “Out of Bounds” and are not festival grounds. For your safety, everyone must respect the boundaries of the festival and farm. If anyone attempts to break this rule, they will be immediately ejected from the festival with no refund. Folks are welcome to come and enjoy the company of the farm animals during village hours (10am-4pm) in the Dairy Ell and Barnyard. No outside alcohol is allowed in the village or the campgrounds. Beer and wine will be for sale in the main festival area to those over the age of 21. We have a ‘no open alcohol container’ policy in the camping and day parking areas as well. Use garbage and recycling bins as marked. Dispose of anything that might make animals sick such as cigarette butts, instrument strings, plastic bags, paper, etc. How much are tickets and what does my ticket get me? Please see the TICKETS page for pricing. 3 Day Pass – Congrats, you can come all day Friday, Saturday and Sunday! Festivities for the Fiddlers’ Convention don’t start until around 8pm on Friday but the village will be open with plenty to do and see! Friday Evening – Join us for a special movie screening, a double feature of John Cohen’s “Musical Holdouts” and “Post Industrial Fiddle” and stay for a Q&A. This ticket is good for 8pm until the end of the evening, regular village admission is not included. Saturday All Day – Come early to see the village and stay late for our concert and square dance! This ticket gets you access to the village all day and all night long. Saturday Evening – The Down Hill Strugglers and John Cohen take over the 1910 barn for a special concert and square dance! This ticket allows you to come only for the concert and square dance which start around 8pm, regular village admission is not included. Sunday All Day – Join the Down Hill Strugglers and John Cohen for an early morning gospel concert and stay for a special curator-led tour of one of our new exhibits. This ticket is good for the entirety of Sunday until 4pm. All access + Camping – An all-access 3-day ticket plus camping for one person, for two nights in our upper lot camping area for tents, pop-ups and RV’s up to 20 ft. RV’s larger than 20 ft must note they need a “BUS” spot during registration (space is limited). Premium Camping – Camping for two people, for two nights in our lower lot camping area closest to traditional restrooms, access to charging station, and located around a campfire. Note: Tickets to the Fiddlers’ Convention must be purchased separately. *Please note: This is a rain-or-shine event; there will be no refunds. Can I volunteer at NE Fiddlers’ Convention? You sure can! For all inquiries for volunteering, please email Beth. Advanced training is required and consists of a considerable amount of standing. Accommodations for volunteers with special needs will be made. All workshops are first come first served, with no advanced registration necessary. All contests require advanced registration. Please sign yourself, or your band up here. There is an ample amount of parking at Hancock Shaker Village. We have various overflow parking lots in addition to our main parking. We encourage carpooling. Handicapped parking is available. As the village is located on a major highway, we encourage any festival goers to exercise caution if bicycling to and from event. Please note there are no bike racks. Children are welcome, and admission is free for those 12 and under with an accompanying adult. Please note that certain venues will not be able to accommodate strollers. All workshops are meant for all ages, but the “Beginners’ Fiddle” is highly recommended for children. In addition to our cuddly animals, the village offers a variety of activities and talks suitable for children like our hands-on Discovery Barn! Take advantage of a once in a lifetime opportunity to camp at an historic Shaker Village. Camping tickets will be available soon. Camping not for you? No worries! There are many lodging options in the greater downtown Pittsfield area, as well as surrounding towns. Click here for various lodging options. Some venues are space-limited, will not accommodate everyone in attendance, and are filled on a first-come, first-served basis. Love to have you. Email your request to Jim. Not all requests will be granted. Can I share my weekend pass with my friends? No, a weekend pass is for you and you only. It is not to be transferred between different people attending different days. The day pass is meant for a single day guest. Tell us who you are, what you do and why we’ll love it. Email your request to Matt. There will be regional food vendors in addition to our cafe, Seeds. Seeds will be open late on Friday for dinner, Saturday for breakfast, lunch and dinner, and Sunday for breakfast and lunch. Specific hours and menus TBA.